When Henry and I got married, I gave him a cuddly little black lab named Thatcher for a wedding gift. Since that time, we’ve owned 23 other dogs, most from the time they were tiny puppies. I guess you could say we are the “Cheaper by the Two Dozen” family for dogs. 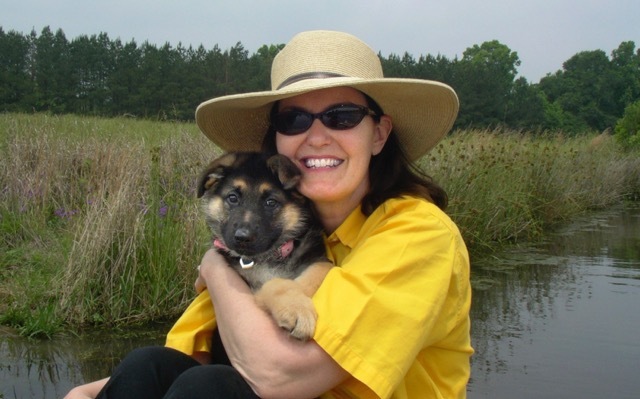 When I first read the excellent article in this issue that Julie Smith Turner wrote on tips for training puppies, I enjoyed reminiscing about the numerous and various tactics we’ve tried in corralling that adorable puppy energy in a positive, nondestructive direction. Our dogs are all large breeds: labs, bird dogs and mutts, but German Shepherds are the majority. We had one queen of the pack, a golden retriever named Belle, who was our only perfect dog. The only mishap I remember of hers is when she chewed through her brand new dog bed simply because a tennis ball was underneath. The rest of our motley crew have been and are just lovable beasts destined to steal our hearts one “oops” puddle at a time. We’ve had the most remarkable stories, including three of our dogs chasing the poor UPS man around through his opened door truck (multiple times … he ultimately escaped), our German Shepherd refusing to let a friend of mine scold her disobedient 3 year old (a menacing growl with bared teeth sent the mother running while the child grinned on the other side of the dog) and our lab (left behind on a duck hunt because of constant breaking the day before) who swam two miles across the marsh to climb into the blind with an indignant “how dare you leave me” attitude. Some of the many Clay dog tales bring laughter, some amazement and some a teary sentiment of devotion. The general consensus in our minds was that we had pretty much figured out life with dogs. 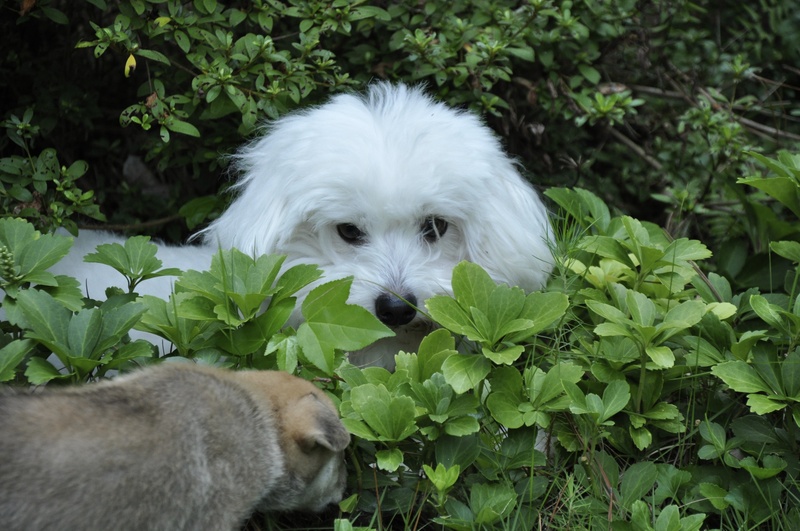 And then … we purchased our first small one, a Coton de Tulear. Most people have never heard of the breed, which Henry claims is French for “too expensive.” We quickly learned that the wealth of dog knowledge we had accumulated was of no use with this tiny ball of white fluff named Tanzy. Thus, with her quiet demeanor that perplexed us, Tanzy became our first dog to rule us simply because we didn’t know how to be the master for such a docile little lady. Ironically, this meek, sweet creature had no problem “training” other new puppies to the knowledge that she would rule them as well. 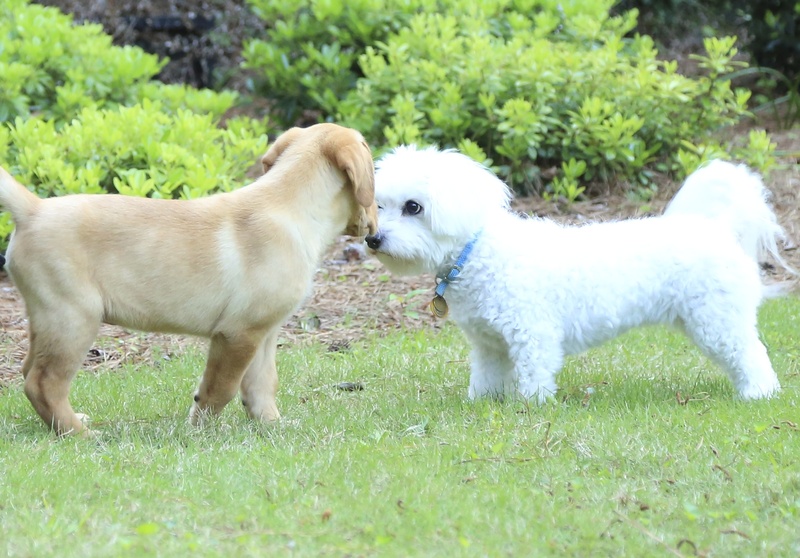 Now that these labs and German Shepherds are full grown, one weighing more than 100 pounds, they are still terrified of this little cotton ball. For your next puppy, large or small, be sure to read Julie’s article on page 50 for gleaning those training tips … or, as Tanzy will attest, those pups will train you!